If drifts of wild rhododendrons aren't enough, then consider the West Beach sand dunes at Deception Pass State Park. 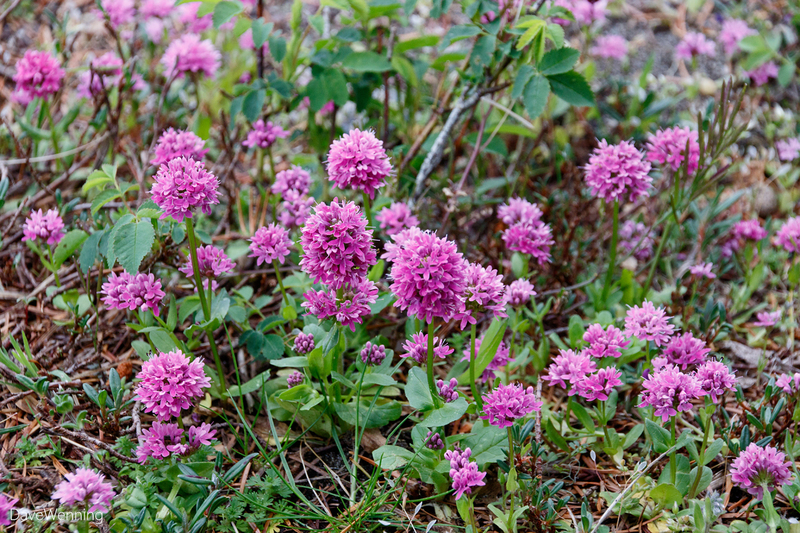 Every spring, they become washed in magenta because of a little annual flower called Sea Blush (Plectritis congesta). Although West Beach sits about a hundred miles inland from the Pacific Ocean, the conditions here are ocean-like. 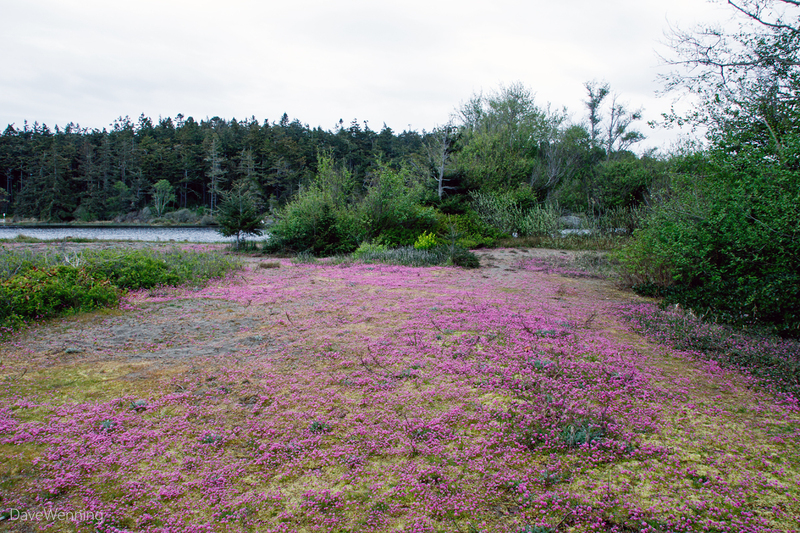 Winds off the Strait of Juan de Fuca built the sand dunes cutting off what is now Cranberry Lake. The lake was once an inlet off the Strait. A unique and beautiful ecosystem was created. 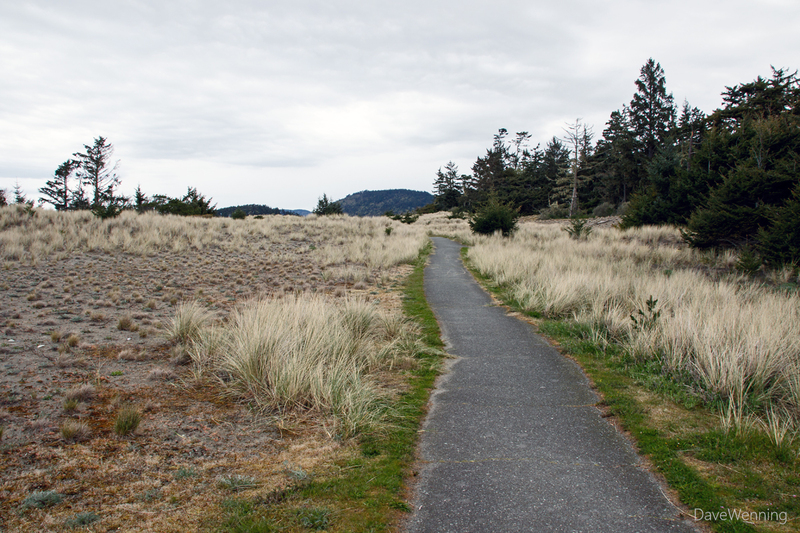 Visitors can explore the dunes over an easy 1.2 mile (2 km) interpretive trail. Along the way are signs describing the features of the dunes. 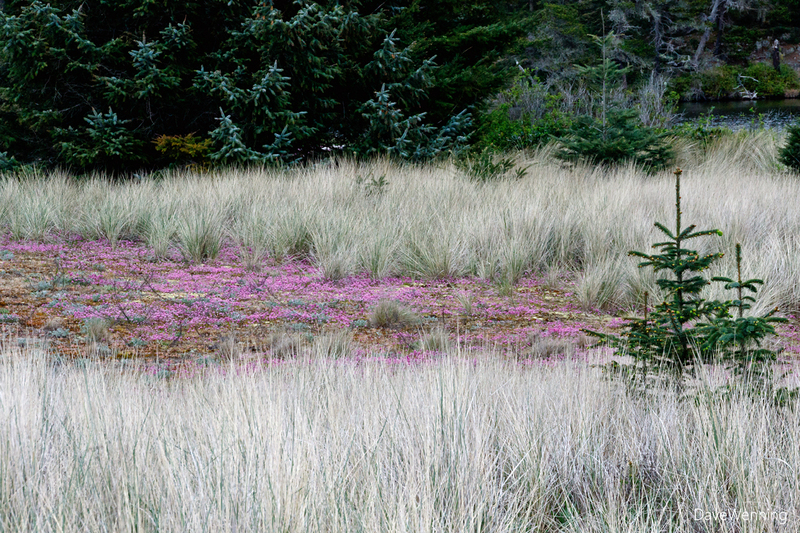 Every spring at about this time, sections of the dunes take on the look of bright oriental carpets. This event would seem to be an illustration of the word "incongruous." This crouching little plant, here barely 3 inches/8 cm tall to avoid the winds, is the cause of the spectacle. 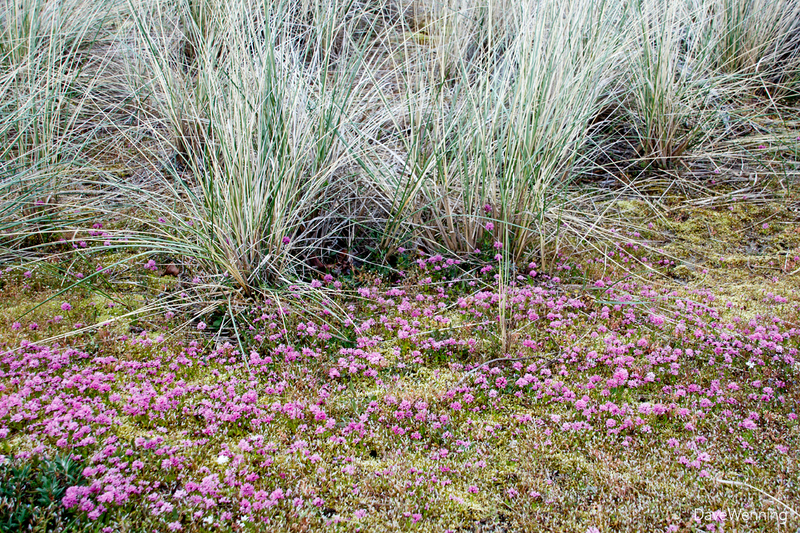 Part of the miracle is that it sprouts from seed every year in this windy, hostile place. 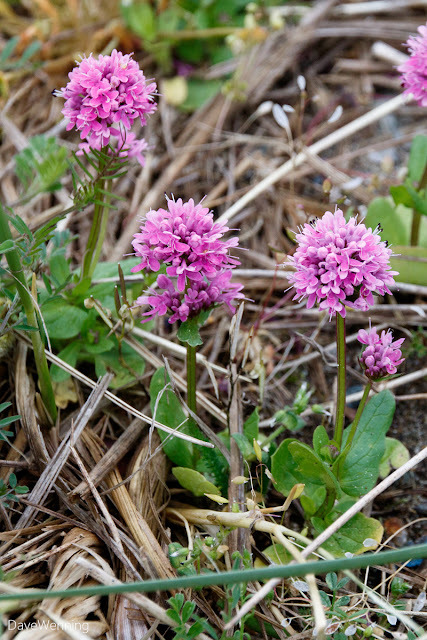 Where struggle and tenacity is required for survival, Sea Blush gives us a couple weeks of gentle diversion. 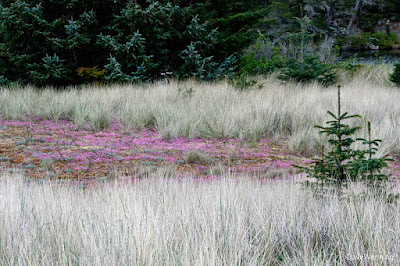 But for the plants that hold these sands in place, the dunes would easily blow away. 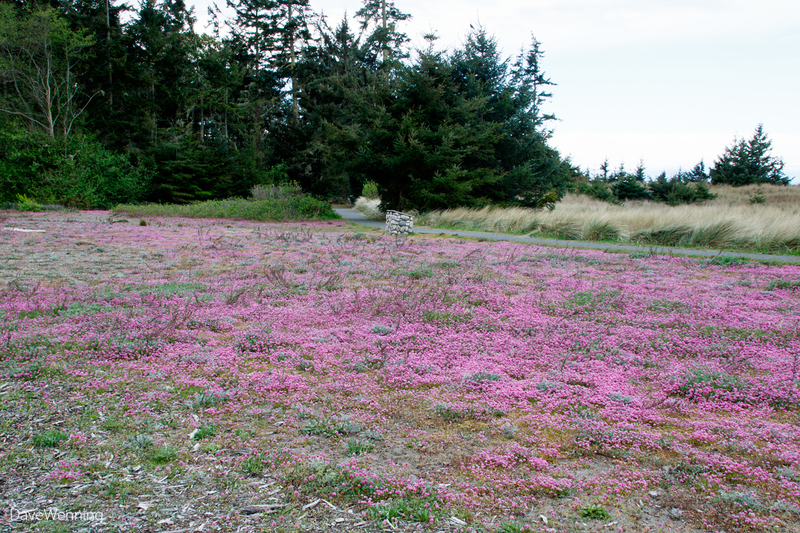 This annual, springtime display is just one of our rewards for protecting this place for all to enjoy. Click or right-click the photos to view them full size. 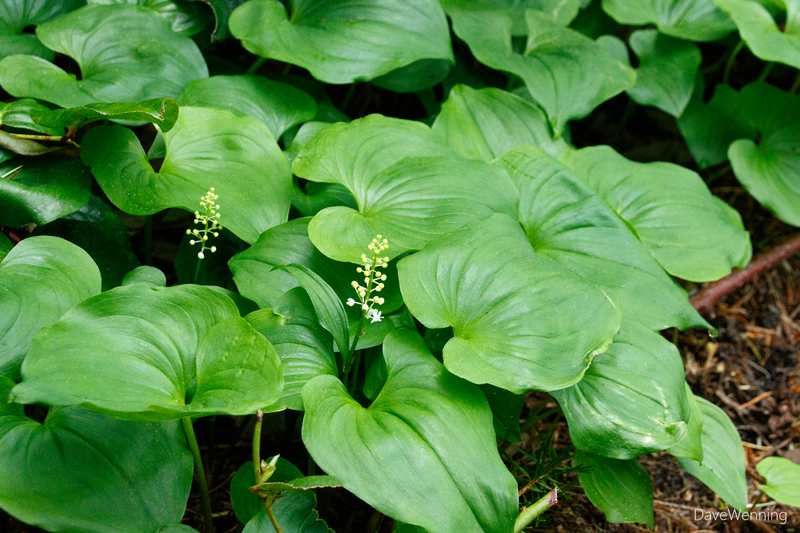 Elsewhere along the Sand Dune Trail, False Lily-of-the-Valley (Maianthemum dilatatum) is just starting to bloom in the shady dune forest (left). 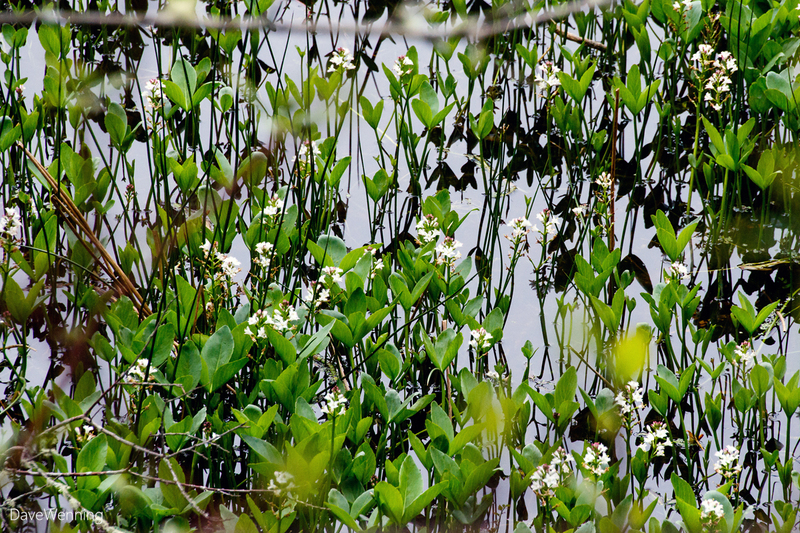 Viewed from the Cranberry Lake wetland observation deck, the aquatic Buckbean (Menyanthes trifoliata) is also blooming now (right).